Just a note, that two future podcast episodes are up in the patron’s page. One of them on Indian military history and another a discussion with a Hindu nationalist. We plan on doing follow-ups to both. Learnt from a Mohajir guy@work that today is Kashmir Solidarity day in Pakistan. Kashmiri independence may have a “negative toll” on Indian Muslims. However, Kashmir belongs to Kashmiris and it is their right to decide the future of their own homeland. Indian Muslims are not stakeholders in the conflict between Delhi and Srinagar. The only solution to the conflict is for India and Pakistan to negotiate with Kashmiris on both sides of the Line of Control. This is not a real estate dispute between two countries but a matter of people’s lives. For those who experienced blackout last week just a brief reminder. 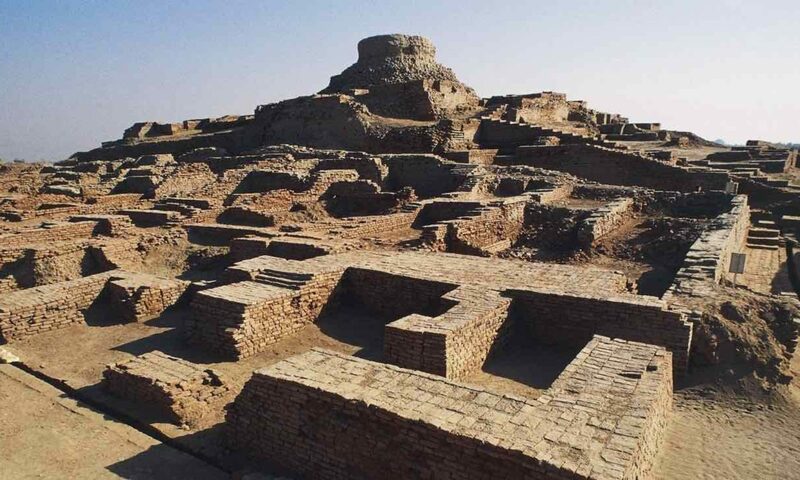 It was a significant discovery on a global scale, having the similar format as recent Arjun&Anan discovery about Iliad and Mahabharata’s linkages. One day when these discoveries become mainstream, the BP archive will be a proof that they were made here. The core of this discovery was done by Chinese authors and an American sinolog but the whole credit for its articulation here goes to Mayuresh Madhav Kelkar. There is a whole PhD dissertation but in nutshell – Aryans brought horses, metallurgy, language, mythology to the delta of Yellow River and made strong influences on local population. It was very similar to everything that happened in Hindustan and SA. Several months ago I wrote that one stream of Aryans went to China and founded a dynasty which name I did not know. Now, we have indication that there were probably two early dynasties. I have probably 1000 Serbian toponyms in China and Tibet which I will provide to these researchers. In this PhD were mentioned some clans which had horses and even organised betting on horse races which in my sources are of Serbian origin. There were also many wars during the 1000 years long history, many Serbs were killed, many later assimilated, other retreated to Siberia (originally: Sibir, what was derived from Serbian name). This Chinese example can be and should be guidance for SA scholars how to conduct their own local research instead of being irrationally defensive and pushing head in the sand. two podcasts on patreon page. Empty Planet – of course the title is a hyperbole. The world is not going to run out of people because of people’s lack of interest in having kids. But the very fact that researchers are even entertaining this possibility is astounding. Mind boggling, to say the least. We’ll figure out artificial gestation in a few decades. We can then manage demographics just like currency via central banks. If i may i would suggest an interesting guest on the podcast, he lives here in US only. I would love for Omar bhai to interview him. His book created a storm among the Historians in India by upending all their previous held notions. Man I’m too late for the fun! Good to see so much entertainment here. Good on you for keeping at it Zach!!! Saurav: there are rajus and there are rajus in Andhra that are of different kinds. One kind is pastoralists and other kind actually held court in their forts. You got to be in the know to identify which is which. VijayVan, yes i know this. You can’t equate the modern mainstream idea of the term ‘Dravidian’ which basically means all ‘Dravidian speaking south indians’ with the historical term Pancha Dravida which relates exclusively to the Brahmins of southern India. Dravida is basically the sankritised form of Tamilar. Probably only the South Indian Brahmins used the term Dravida commonly due to their command of Sanskrit. It was never used as a self ethnonym by the majority of south indians. I am j2b2* and 50% ASI (according to HarappaDNA analysis). You can say this to Razib and see my comment under ‘We are all Aryans now’ (I only missed to mention ‘All Rainbows with non-binary genders’). Just say Ho! what is your paternal line, tamil or sinhala? 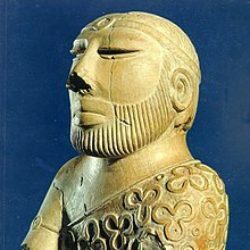 j2b2 is an iranian farmer y chromosome, more specifically associated with dravidian elite castes like the vellala and its high amongst brahui. I think its associated with the people who introduced proto-elamo-dravidian languages to india. Paternal line is “Tamil”. Supposed be descendants of the Arya Chakrvarti line from Kalinga. Recorded in the Golden Book of India and Ceylon. Some Sinhalese ask how could I have name ending in “singhe”. So what am I just a mixed mutt, proud of sudra paternal and maternal ancestry. My Kalinga descendant paternal family was very ethnic looking, i.e African looking, big lips, thick necks and they were proud of their looks. Tamil Scholars too, my grandfathers sister was first female novelist in modern Ceylon. My father used to comment about the hair less ness of my paternal grandfather. My mother never needed to shave. One of my sisters is hairy and sweat smells. My sweat (over weight, alcoholic) barely smells, East asian genes? I am responding to the yaksha/yaku comment. I am afraid “The four clans that occupied srilanka before Vijaya are Yaksha (Yakku) , Naga, Deva and Raksha (Rakus)” is a fiction that is not supported. Even in India, there are tall stoties about yakshas and Rakshas, Yaksha ganam, a dance with the spirits. The only people of Srilanka authenticated before the arrival of the Iranian farmer-AASI-steppe_MLBA admixture from India, were the veddas. The Wanniyala-Aetto were “forest people”, known as Veddas or Veddahs, are the only indigenous people of Sri Lanka; they were never numerous and are now too few in number. Surprisingly, they are not easily correlated with either the Andamanese or the AASI. Meaning, I could not find anything from table 2 of Ranaveera et al (Mitocjhondrial history of srilankan ethnic people) and relate the Veddas to anybody except the Srilankan Tamils and Sinhalese. The Figure 2 in that paper is indecipherable. It is a bit confusing about J2b2 because J2B2 has a L283 clade (only 6000 years old) which branched into steppes and carried over to India; and Z2432 which split off L283 some 11,000 years ago and believed to be one main marker off the Iranian farmer ancestry in India. If I may ask you, did you get information on MtDNA? if you have M2, you are a classic Indian, not sinhala. Sinhala or Tamil thats about Language not DNA. Yes in Sri Lanka we all have much Indian ancestry. Like the UK which has French (Norman) and German (Anglo Saxon). Like I say often we in Sri Lanka (specially the Sinhalese) evolve to different ethos, the Island mentality. Very like the Caribbean. Anyway in Sri Lanka we are descendants of the original peoples of South Asia. The peoples called the Yaksha. We still have Yak Natum (Translated to Yak=devil Natum-dances). My father and Eldest sister (Grace Manomani). I think around 1924. My father was born in 1917, vaguely recall him saying being dragged for proposal photo. The point of the photo being my aunt could be a Tribal sans the fancy clothes and shoes. You are possibly reading too much into photography and faces. There are few tribes in Tamilnadu (700 K population) and even the lankan tribals have mostly disappeared. You are like no tribes of Tamilnadu (or the farmer castes either). The hill tribe foragers and those who cremate in TN have F-M89 and H1-M52; no J2B2. Even the dryland farmers have H1-M52 or L1-M27. Your people are different, and may have left India after the formation of the caste system. That can be indicated by the presence of a larger amount of R1A. This is all very fascinating but quite confusing too. As the Pinakasena guy mentioned, us nominal/cultural Hindus (I do really consider it as an offensive slur against me knee-jerkly but upon examination that really is the truth and I have to accept it) have no proper religious education whatsoever and my maternal aunt always says that half-baked knowledge is one of the most dangerous things in the world. Even Pinakasena might not be knowing the complete details about the possible Hinduism-based state’s policies in the future. For this, I think that people well-versed in Sanskrit, Kannada, Tamil, Marathi, Hindi, etc. Vedantic literature, living in religious institutions in places like Udupi, Shringeri, Kanchi, etc. perhaps, should be interviewed. English gets really really monotonous and boring after some time. Some very short interviews having a very short list of questions dealing purely with current practical materialistic-related matters under a Vedanta-based/supported state such as statecraft, economic advancement, educational policies, the fate of the Constitution and IPC, policies regarding minorities, importantly those who are not religious minorities but societal minorities (Hindu-by-birth transgender individuals, Hindu-by-birth homosexually oriented individuals who don’t conform with respect to the traditional Hindu mores, etc. ), etc. etc. One can also consider interviewing individuals like Chaganti Koteshwara Rao, Garikipati Narasimha Rao, etc. with the similar questionnaire too probably. Previous PostPrevious Brown Pundits on Instagram!